No matter who you are, the effects of everyday stressors and anxieties are very real. However, a recent study found that if you spend just 45 minutes a day doing something artistic, the therapeutic activity will help decrease your overall stress levels. Sound like something you’d be into? There’s an art project for everyone, even if you think you’re not artistic. 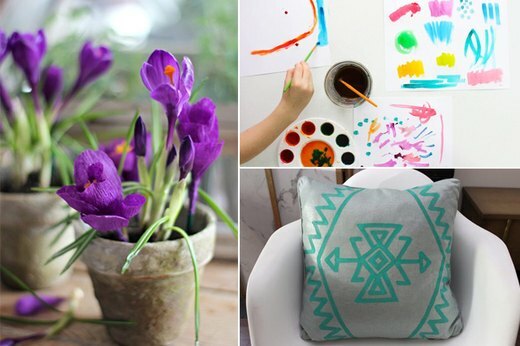 Here are 15 art projects to help you feel calmer and less stressed. If you haven’t painted for years, watercolors are an easy way to get started again and still feel like an adult. 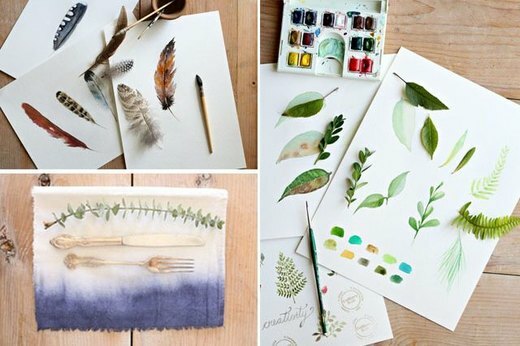 Here are 14 ways to use watercolors and come up with illustrations you can use around the house or give as gifts. Before you know it, you’ll be a bona fide Impressionist. 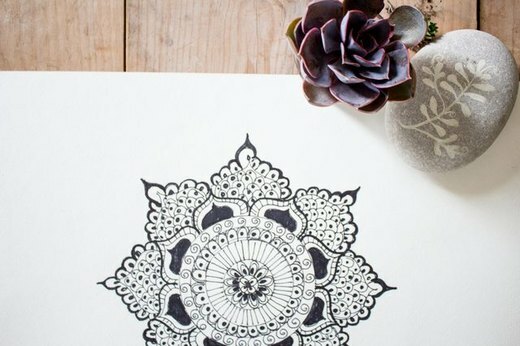 The next time you come home from a challenging day at school or work, take 15 minutes to focus on drawing mandalas and find some inner peace. Put on some soothing music, light a candle and all of that stress will wash away. This is your project if you can’t get enough of cool weather, breaking out your sweaters and ordering a seasonal latte at Starbucks. You can find pumpkins at the supermarket or the farmers market to use as references. Once you've mastered the shape and shadows of a pumpkin, try drawing another vegetable or piece of fruit — you can totally use the same techniques. Believe it or not, there’s math and science in every art project you do, from measuring dimensions to the chemistry of the paint. 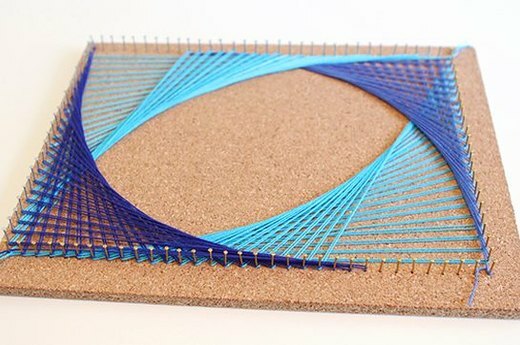 This string art is a perfect low-stress example, with no intense thinking required. If you love flowers but don’t have a green thumb, a paper version is a great alternative. 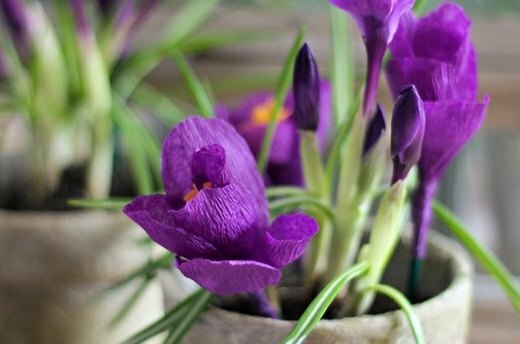 Try making this crepe paper crocus for your desk or kitchen island. You’ll be so excited to have “fresh” flowers in your home that you’ll start dreaming up other flowers to paper-ify. Looking for a craft that’s as easy as posting a photo to Instagram? 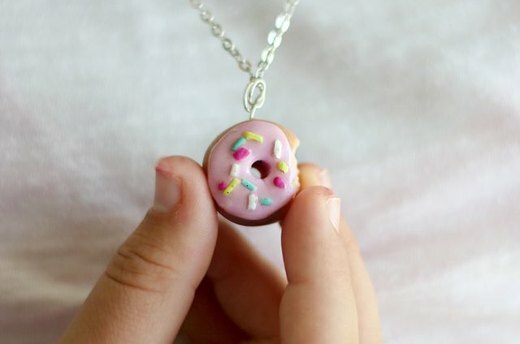 Here it is: a polymer clay doughnut charm. You can string it onto a chain or make it into a ring. Don’t forget to Snapchat your process so all of your friends can follow along. Raise your hand if you can’t get enough of anything and everything Halloween. When you unveil the decorations, consider adding a clay pumpkin into the mix. You’ll have a relaxing time making it, and you'll create a new piece to add to your spooky-chic decor. Again, if you want to try making something else, use the pumpkin to learn how to work with clay and plan for future projects. Do you remember how much fun it was to make Shrinky Dinks as a kid, waiting patiently for them to bake in the oven after coloring in the designs? If you don’t, you missed out. 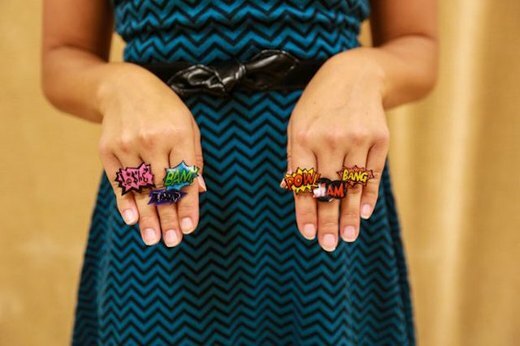 Luckily you can play with them now, and spend a low-key afternoon working on a set of rings. Looking to personalize new digs? 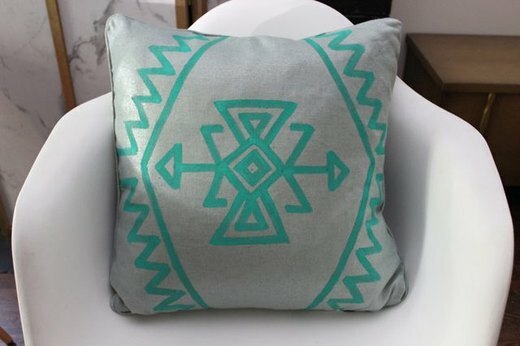 Carve well-deserved time out of your busy schedule to give a decor pillowcase a fresh face. Kilim is a hot trend in decorating right now, and it'll look great on a couch or chair in your home. It's one project that will be relaxing as you work on it, and relaxing when you use it. 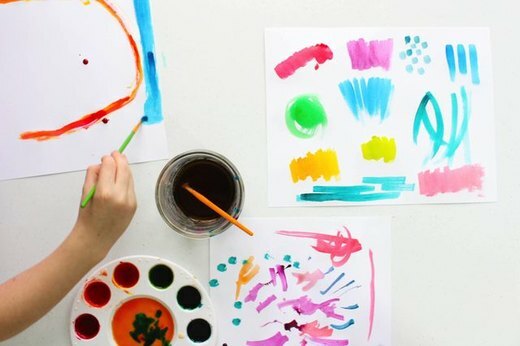 Have some kids who want to partake in the art fun? Mix up a few colors of watercolor paints, put some newspaper down on a table and spend an afternoon painting with them to your heart’s content. It never hurts to indulge your inner child when it comes to art. Teens can also get in on the art-as-a-destressing-technique fun. 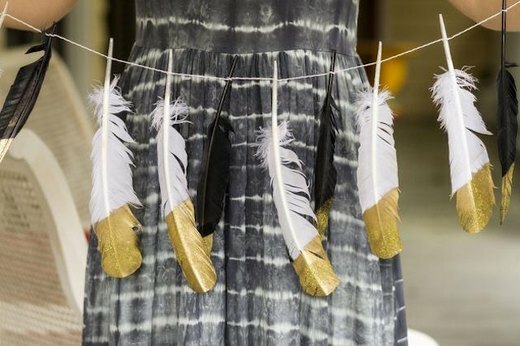 This glittered feather garland would look beautiful in a dreamy bedroom, or as part of photo booth decor for a "Sweet Sixteen." You can find packages of natural or colored feathers at your local craft store. 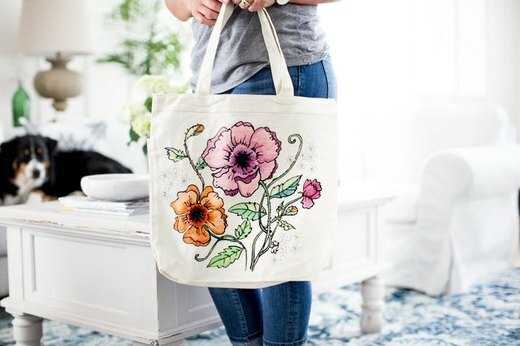 Adult coloring books are all the rage right now, but you can get ahead of the curve by trying a different coloring project — a print on a canvas bag. After you’re done and feel nice and relaxed, you can use it on your next outing or give it to a fashionable friend. Cooking and baking can also be great ways to relax. 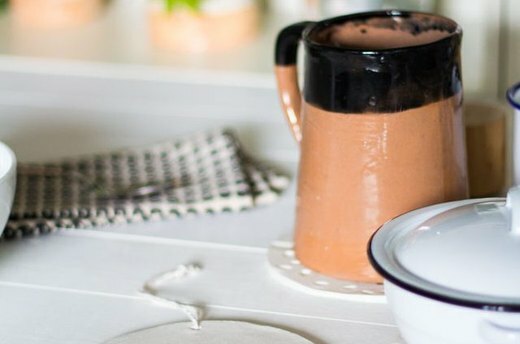 Infuse art into the mix by crafting a clay trivet to rest a hot cup or bowl on. If you know someone who loves to cook, this is a great gift idea that also helps you destress. During your weekend itinerary, schedule a walk across the beach, a hike through the forest or a stroll through the park. 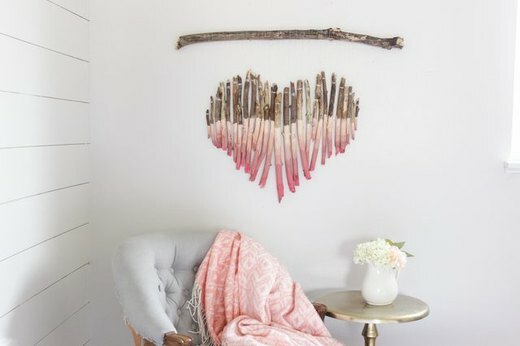 Pick up some fallen tree branches along the way, and bring them home to make an interesting art piece. You’ll feel good being out in nature, and while making this project. Design a set of earthy wind chimes to hang in your patio or from a tree in your garden. Spend your Saturday afternoon cutting the clay chimes out, and spend all day Sunday outside listening to them move in the breeze. 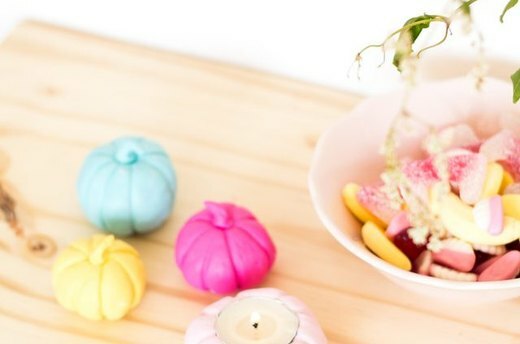 Life’s too short to be stressed all the time, and incorporating these art projects into your everyday life will help you stay happy and healthy.